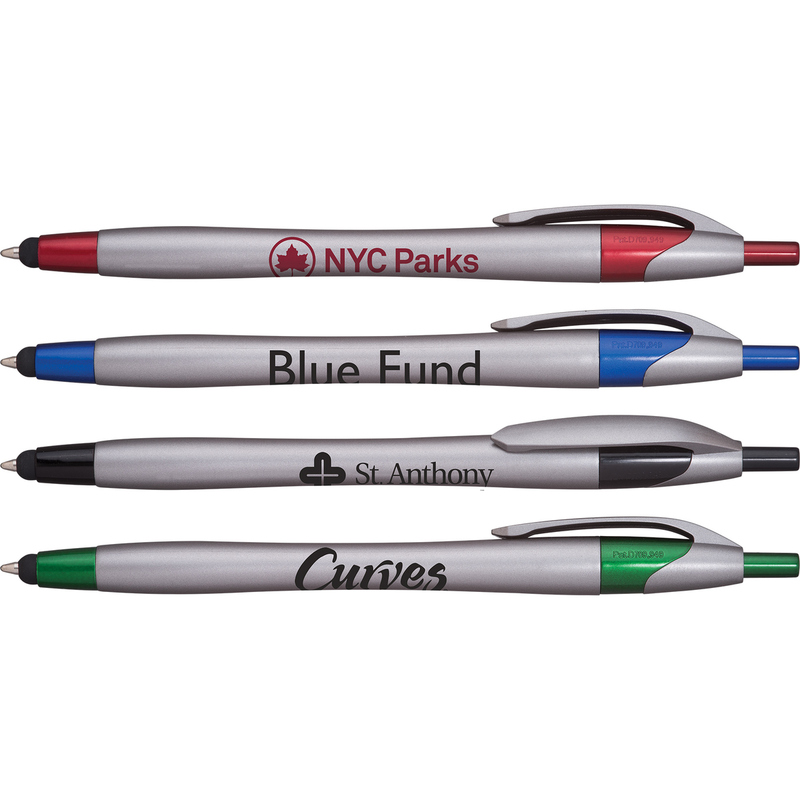 Your next promotion will steel the spotlight with this Javalina Stylus upgrade. 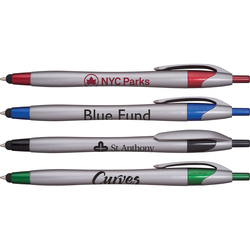 Sleek metallic steel-gray barrels contrast with a glossy enameled trim. 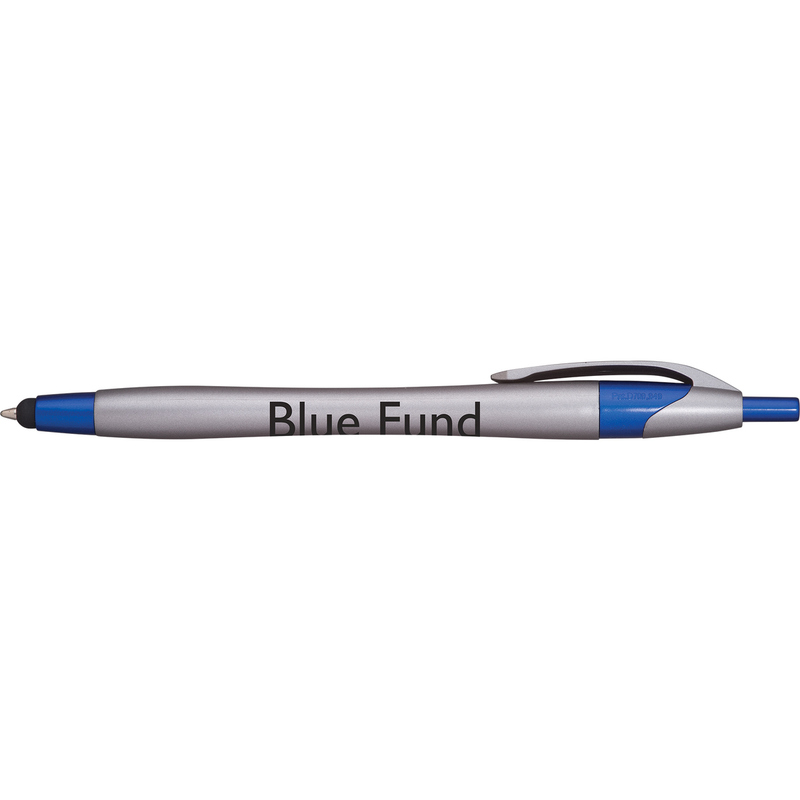 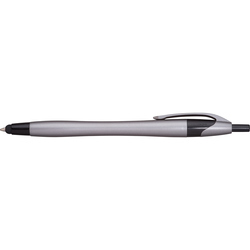 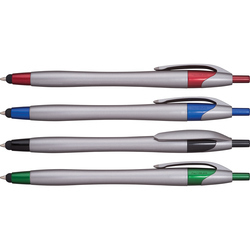 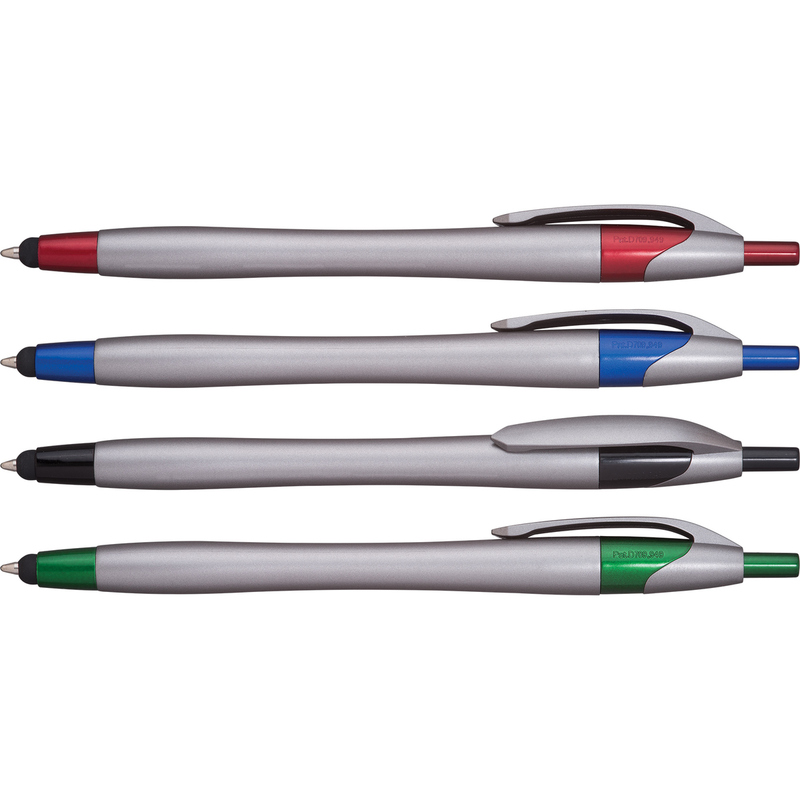 The patented stylus features increased sensitivity with touch screen devices.